A light airplane crash in Laukaa, central Finland claimed the life of the pilot on Wednesday, according to police. Accident investigation officials are working with police to determine the cause of the accident. Police report that emergency services were alerted to a downed aircraft in Laukaa near Jyväskylä in central Finland, shortly after noon on Wednesday. Police and rescue workers eventually found the crash site around 2.00pm with the pilot, who had perished in the crash. According to lead investigator Olavi Saunamäki, officials so far have little information about the accident. "The plane disappeared after midday and a search began involving a plane, helicopter and vehicles. 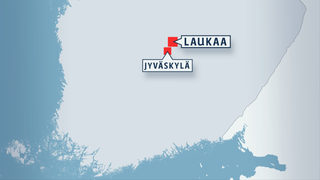 The aircraft was found shortly before 2.00pm in Lievestuore in Laukaa," Saunamäki said. Police will continue investigating the incident in collaboration with the Safety Investigation Authority OTKES. "The area has been cordoned off and the Safety Investigation Authority will visit the scene to conduct its own investigations. It will definitely take until tomorrow [Thursday] before the wreckage can be removed from the site," he added. Officials reported heavy showers in central Finland Wednesday afternoon, however the investigator said he would not comment on whether or not weather conditions may have played a role in the accident. "Of course the weather is one factor that we will look at, but it will take days before we can answer that," he noted. Wednesday’s poor weather prevented the Finnish Air Rescue Society SLPS from participating in the rescue operation. However the association said that this does not necessarily mean that the weather would have been particularly bad at the time of the crash – it was just not ideal for a search and rescue operation. "There were continual heavy showers in the area, and that alone made search flights impossible," commented Arto Kupiainen of SLPS. Kupiainen added that apart from the rain, visibility at the crash site was good, but cloud cover had been very low at the time. He speculated that the light aircraft may have been flying outside of the monitored airspace, in other words, it must have stayed beneath the clouds. Meanwhile, OTKES director Veli-Pekka Nurmi said that nearly all of the accidents the organisation has investigated have involved pilot error. "In our investigations of accidents involving ultra-light aircraft, technical defects have been very rare. There was no control of the situation at the point when the accident occurred. Of course there are many factors that influence the situation, including weather conditions," Nurmi expanded. He said that light aircraft registered in Finland are for the most part in good mechanical condition. Technical requirements are often well observed and there are strict requirements for pilots. "In a light aircraft you have a huge personal responsibility because you don’t have an organisation to ensure that everything is in order," Nurmi noted. OTKES said it has noted distinct deficiencies in pilots’ medical fitness in taxing situations. "It may be that we have pilots whose health does not allow them to fly," he concluded. According to data from the Finnish Transport Safety Agency Trafi, during the last ten years there have been 20 fatal accidents involving light airplanes. Altogether 25 people lost their lives in those incidents.